The membership of Falk College Board of Visitors reflects the diversity of College’s alumni, including diversity in profession, age and geographical location. Membership may also include non-alumni “friends” of the college from the greater University community, as well as individuals from outside the University who are interested in and supportive of the mission and vision of the college. Membership does not include individuals internal to the college(i.e. faculty, staff). The dean appoints the Chair of the board. A graduate of the College of Human Development with a degree in environmental design, Vivian Dessy Diamond joined the Falk College Board of Visitors in 2009, and the Parents Executive Committee at Lubin House in 2011. Vivian is partner and design director for The Dessy Group, a family business established in 1939. Originally founded by Vivian’s grandparents to manufacture bridal headpieces, the New York City-headquartered Dessy Group is a leading global manufacturer of bridesmaid dresses, social occasion dresses, flower girl dresses and destination wedding gowns under the labels Dessy Collection, After Six, Alfred Sung, Lela Rose Bridesmaid, Social Bridesmaids, 57 Grand, Newlymaid, After Six Wedding Gowns and After Six Tuxedos and men’s suits. A recent partnership with Pantone allows for customers to create Pantone Weddings for color inspiration and planning purposes. The Dessy Group’s web site business, which attracts over 1 million visitors monthly, sells wedding-related accessories to complement its dress lines. For the past decade, The Dessy Group has consistently received numerous awards in the U.S. and U.K. as designer and manufacture of the year, and the business continues to thrive under the leadership of Vivian and her brother, Alan. Vivian and her husband, Paul, have four children: Meredith, Randi (an SU alumnae of the College of Human Development), Andrew, (SU Class of 2011, sport management) and Charlotte (SU Class of 2013, iSchool). Professor Ruth Dunkle received her B.S. in Child and Family Studies (1969 – Human Development); her M.S.W in Social Work (1973 – School of Social Work); and her PhD in Social Science (1978- Maxwell School of Citizenship) at Syracuse University. She joined the Falk College Board of Visitors in 2002 (previously she was an integral member of Syracuse’s School of Social Work Board – 1991-2002). In 2002, Syracuse University and the School of Social Work recognized Professor Dunkle with the “Outstanding Alumni Award”. Dr. Dunkle is the Wilbur J. Cohen Collegiate Professor of Social Work, Professor of Social Work, and Associate Dean, Faculty and Academic Affairs at the University of Michigan. Professor Ruth Dunkle’s research, teaching, and clinical practice focus on gerontology. Recent research projects include “Mothers of Adult Daughters with a Serious Mental Illness: The Experience of African Americans and Whites” and “An Historical Perspective of Social Service Delivery in Detroit in the Twentieth Century.” Since 1988, Professor Dunkle has served as a project co-director of the National Institute on Aging training program, “Social Research Training on Applied Issues of Aging,” with Professor Berit Ingersoll-Dayton. She also serves as co-director of the Geriatric Fellowship Program with Letha Chadiha. Professor Dunkle recently wrote a book on the oldest old, which examines their future time perspectives and their coping strategies in dealing with the changes in their physical and psychological functioning, and which identifies relevant service delivery strategies for improving the quality of their lives. Dunkle’s career has focused on clinical gerontology, service delivery to the elderly, the oldest old, coping and service deliver strategies for the elderly, racial and ethnic variations in caregiving to the elderly. Evelyn C. Granieri, ’78, M.D., MPH, MSEd, is Chief of the Division of Geriatric Medicine and Aging in the Department of Medicine at Columbia University College of Physicians and Surgeons and an Attending Physician at New York Presbyterian Hospital/Allen Hospital of Columbia University Medical Center. Dr. Granieri grew up in Niagara Falls, New York. She began her professional career as a Registered Dietitian at Northwestern University Medical Center, after graduating from Syracuse University. She subsequently attended Northwestern University Medical School and completed a residency in Internal Medicine and was the first fellow in Geriatric Medicine at Northwestern and served as the first geriatrics trained faculty member there. She later became a faculty member at the University of Pittsburgh where she directed geriatric education for the School of Medicine and for the postgraduate medical education and other healthcare profession programs and as Associate Director of the VA Geriatric program. She developed innovative curricula and received numerous awards for her teaching and her mentorship. For 10 years she was the medical director of the teaching nursing home and of the geriatric medicine fellowship where she forged interdisciplinary training in geriatrics. Dr. Granieri was the recipient of the Arnold Gold Award for Humanism in Medicine and also the Dennis Jahnigen Award from the American Geriatrics Society in recognition of her national contributions to geriatric education. She received her Master in Public Health from the University of Pittsburgh and the Master of Medical Education from The University of Southern California, where she also taught medical education. Dr. Granieri became Chief of Geriatrics at the Bronx VA Hospital and Deputy Chair for Education at the Mount Sinai School of Medicine in New York. She became Chief of the new Division of Geriatric Medicine at Columbia in 2006, where she has been instrumental in developing the goals and vision of geriatrics within the school and the hospital system. 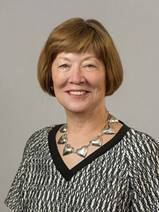 She has been a consultant to academic geriatrics programs nationally and internationally and teaches locally, nationally and internationally. She has served on the Board of national geriatrics and academic societies, and has been on numerous national councils and committees. Dr. Granieri also holds leadership positions within the Association of American Medical Colleges and spearheads much of their geriatric initiative. She serves as a resource in geriatric medicine for a number of national lay and professional publications. Dr. Granieri continues to be recognized nationally for her contribution to geriatric medicine. She considers the two greatest honors of professional life to be caring for the frail and vulnerable older persons in our society and training and mentoring of others to do the same. Dr. Granieri is dedicated and totally committed to the care of older adults, especially of the most vulnerable, to advocacy for aging issues, to advancing the scope of knowledge about older adults, and to teaching and mentoring future and practicing clinicians in all professions so that they become informed, thoughtful and compassionate practitioners. Jonathan Greenhouse is a real estate finance veteran, as he has originated, structured, and closed over $3 billion of transactions throughout the United States. Mr. Greenhouse has originated loans ranging in size from $3 million to over $200 million. He has a reputation for certainty of execution and a track record of repeat business. Mr. Greenhouse is currently a Managing Director at Guggenheim Partners. He opened the Los Angeles office and manages a team of originators and underwriters responsible for the origination of life insurance company balance sheet, CMBS, FMNA and FHLMC mortgage loans. He has closed loans across multiple asset classes and platforms. He has in-depth knowledge of all property types; his specialties include office, retail, and multifamily. Prior to Guggenheim Partners, Mr. Greenhouse was an Executive Director at CIBC World Markets, where he was responsible for the origination of CMBS and balance sheet floating-rate debt. He received his Masters in Real Estate Finance from NYU and his B.S. from Syracuse University. Mr. Greenhouse is a member of the Mortgage Bankers Association (MBA) and the International Council of Shopping Centers (ICSC). Lawrence Luckwaldt received his B.S. in 2004 and M.S. in 2010 from Syracuse University. His undergrad studies were in Hospitality Management and graduate studies were in Information Management. Lawrence is currently a managing partner of a Delaware company that is focused on opening and operating fitness centers on the west coast. His responsibilities include site procurement, project lead, development, and operations. Lawrence started his career at the Dinosaur Bar-B-Que restaurant in Syracuse, working for his parents who are part owners. This experience took him from working almost every position in the restaurant, to getting hands on experience with a private equity deal in 2008. US Beverage Net is a company Lawrence has participated in developing as well. This company holds the patents on a hospitality and supply chain tool that measures the amount of draught beer flow in real time over the Internet with point of sale systems. Lawrence currently splits his time between his home in Syracuse and home in Santa Monica, CA with his girlfriend Amanda. Amanda is also a graduate of Syracuse and is currently attending Syracuse Law. In his free time, Lawrence enjoys using his pilot’s license and watching any sport related to Syracuse. Mr. Rollins currently is the Chief Executive Officer of Fastilium Property Group. Fastilium is a student housing developer throughout Scandinavia and Europe. Mr. Rollins serves as a member of the managing committee of TXG Capital as well as its head of capital markets for both the parent company and several of its affiliates. Mr. Rollins is also the President of Rollins Jamaica, a resort holding company in Jamaica, WI where he oversees the development of 4,500 prime acres of resort property together with other subsidiaries in the utility business and entertainment business. Mr. Rollins was a part of the ownership group of the Brimstone companies which focuses on natural resources mainly timber, natural gas, oil and coal based in the Southeastern United States. Michael started his career in capital markets at Bear Stearns in New York as well as Morgan Stanley and Credit Suisse where he helped manage one of the largest private wealth advisory practices. 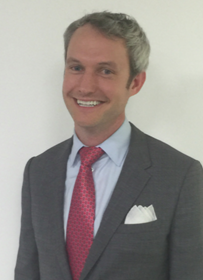 Mr. Rollins received his Bachelors of Science from Syracuse University and attended the Widener School of Law. As a Founding Member at Sentinel Solutions, Corey focuses on helping his clients keep more of the money they work so hard to earn. He works with entrepreneurs and high net worth clients on designing and implementing comprehensive solutions for tax minimization, asset and business protection, employee benefits and integration, and wealth management. Corey is highly skilled in the technical aspects of estate planning that protects both business and personal wealth, largely due to his knowledge of tax management in proper wealth transfer planning. A graduate of Syracuse University, Corey learned early in life the importance of protection planning from his own experience working in his family’s business following his father’s disability. These life events led him to choose a financial services career which he began after college to help others avoid the challenges his family had faced. Shortly after joining a national financial services company, he learned about a program that applied scientific principles and methodology to financial planning and immediately began applying it to his own practice. Corey understood how this enabled him as a planner to make recommendations based on verification and validation instead of opinion, greatly increasing the value he could offer his clients. Corey has earned his Certified Financial Planner(r) (CFP(r)) and Accredited Investment Fiduciary(r) (AIF(r)) designations, indicating his expertise and ability in these areas. Since 2007 he has qualified for Top of the Table status and is a Qualifying and Life Member of the industry’s prestigious Million Dollar Round Table (MDRT), including 13 years achieving Court of the Table status. In 2015, he reached Honor Roll level having earned MDRT membership for 15 consecutive years, an accomplishment reached by only 25% of the members. Corey has earned Exceptional Level of In-Force Recognition from Massachusetts Mutual Life Insurance Company (MassMutual), a measure of his long-term success and dedication. He keeps current on industry events as a member of the National Association of Insurance and Financial Advisors (NAIFA), AALU, the Washington, DC representation arm of the insurance industry, and the Society of Financial Service Professionals. Outside of work, Corey is an active alumnus as chair of the board at Falk College at Syracuse University. He resides in Scarsdale, New York with his wife Shari and their three children. Jim Stone graduated from Syracuse University in 1962 and received a MSW in 1964. His early career was in the juvenile justice system, as Deputy Director of Detention Care (Onondaga County), and then with the NYS Division for Youth in residential facilities for the care and treatment of delinquent and emotionally disturbed adolescents in positions ranging from Director of community-based programs to Superintendent of the largest training school in the state. He moved into the mental health field as a Chief of Service in two NY State Office of Mental Health psychiatric centers, and Director of Community Services for two counties (Livingston, Monroe). He was NYS Commissioner of Mental Health from 1995 – 2003. He then entered the federal Senior Executive Service until he retired in 2009. Jim grew up in Syracuse and spent most of his life in Rochester, NY with his late wife, Joan (MS, ’67), who was Dean of the College of Imaging Arts and Sciences at Rochester Institute of Technology. Jim resides in Albany, NY. He has three sons and eight grandchildren. 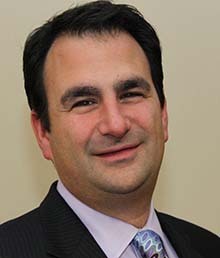 Scott Wolfson is a 1992 graduate of Syracuse University. He majored in Consumer Studies in the College of Human Development. Scott is currently the director of sales at ePlus Technologies where he has been #1 in sales for the past 3 years. His responsibilities include working and managing multiple global enterprise accounts, including Quest Diagnostics, NBA Properties, Cushman and Wakefield and Disney. Scott provides turn key solutions for all of their technologies needs. He develops innovative solutions for increasing reliability and improving productivity within his accounts. He also works with junior sales reps to help them understand and grow their business. Scott currently resides in Livingston, NJ with his wife Randi, also a graduate of Syracuse University and their two children. His passions include Syracuse University football, Syracuse University basketball and anything orange! He enjoys giving back to SU and visiting any chance he gets.